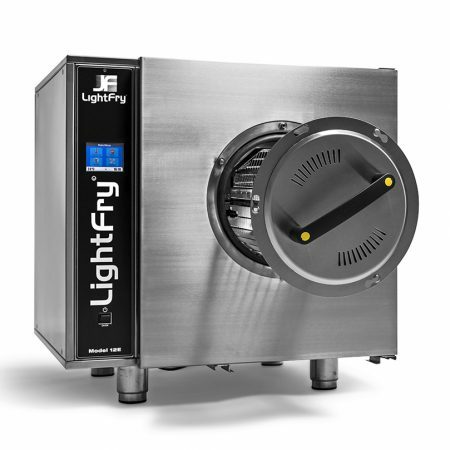 The Lightfry oven builds on the Air Fry Technology – frying of any kind of finger food without addition of oil or fat. 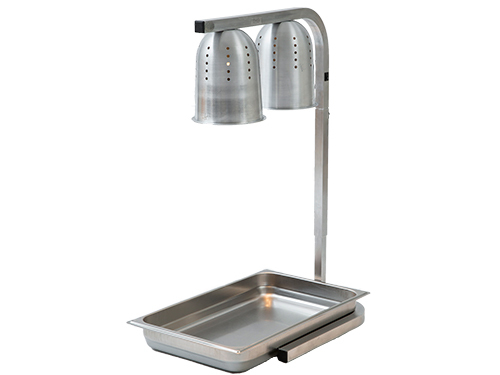 The technology is a combination of the steam cooking effect and warm air drying effect. Preparation is divided into two steps. The first steam stage gets the food well done. That is followed by step two, where lots of warm and dry air gives the food its crisp surface. All this is done in a rotating process with high air flow. 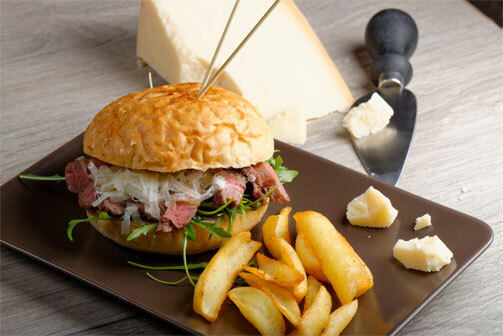 Would you like to get more information and facts regarding Lightfry? 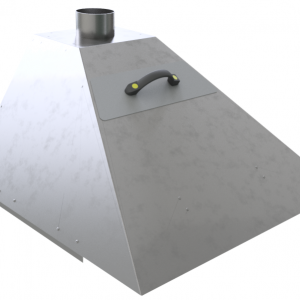 The product adjusted ventilation cabinet for the Lightfry oven in an environment with a minimum of unwanted smells of possible frying. The ventilation cabinet is connected to an adjusted duct fan to reach best possible results. The connection to the hood is intended for a 100mm duct. 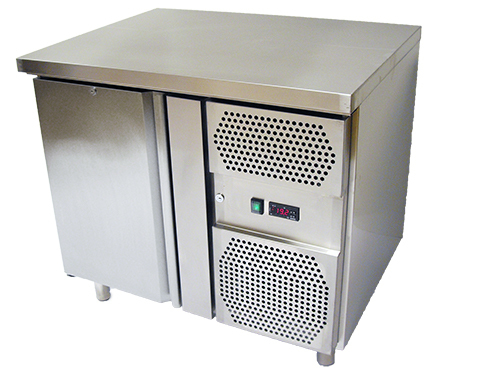 Freezer with a volume of 110 litres, 350w, 230V. Freezer with even surface suitable to place the Lightfry oven. Freezer with a door for smooth access to food. 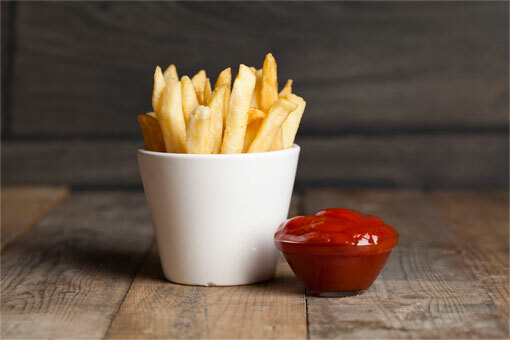 Position of holding with infrared heat lamps for, e.g., chips. Construction made of light weight aluminium for the use in canteens type GN1/1 in different designs in respect to height. Air ventilated reflectors made of aluminium. 1,8 meter power cable, on/off switches, incl. two infrared lamps each 250w. Do you follow Lightfry news at our home page? The annual National Restaurant Association Restaurant Show is the largest single gathering of restaurant & foodservice professionals. The trends for 2019 is clear. The food have to bee good. Visit us at NRA in Chicago. Air is the new oil. Bättre skolmat – bättre skolresultat! Better food in school gives better results. Of course. The problem is that kids more and more don't eat at all. Could a Lightfry help? 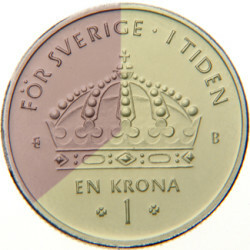 Vi behöver fräsch mat, god mat, näringsrik mat – inte gummilika halvfabrikat.